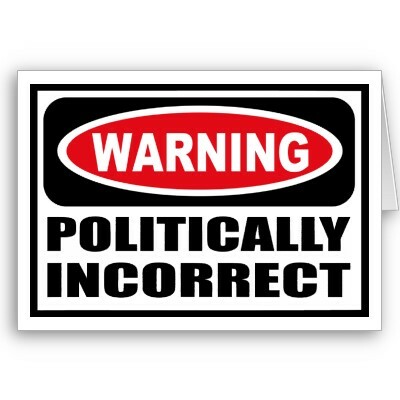 The Place of Political Incorrectness! I’m very amused by the incredible lengths we go to, to avoid controversy and conflict in the name of cultural approval. Australia is rampant with it. Especially the Christian Church. It seems like criticism follows the individual who goes too far (in some people’s minds) but never follows the individual who isn’t prepared to go further than their thoughts. It’s far easier to hide in the shadows, then stand on a dock and give a reason for the hope that you have. When it comes to the office of the sacred desk, there is no place for political correctness. Line up John the Baptist, the Apostle Paul and Jesus Christ against the majority of us preachers and we fall far behind their commitment to speaking the truth in love. Keep in mind, all three were killed by their enemies. There’s a price to pay for speaking the truth, even in love. I’m not advocating arrogant rants or angry outbursts or being offensive for the sake of it (although a good shout in the pulpit, every now and then doesn’t hurt), I’m calling for a commitment to speaking and living God’s truth with Christ-like compassion, love, wisdom AND boldness. Any preacher worth their salt will eventually have a long line of people wanting to offer their opinion on what they could do better or do away with. Why? Cause the cross is folly to those who are perishing and Christ continues to be a stumbling block of offense for many people. When a preacher is committed to letting the biblical text speak for itself and systematically working through the bible, at some point, it’s going to hit a raw nerve. Preacher, rather than shying away from it, run to it and embrace it. It’s your job to herald such a gospel. I pray for God’s grace, wisdom and boldness to mark gospel preachers everywhere to declare the full counsel of God’s Word without fear or favor, and to the end of God’s glory and the salvation of people’s souls, let the pulpit be a place of political incorrectness. I was always on my mind! If we only live with ourselves in mind, we will miss what God has in mind for us! Too many of us are caught up with ourselves always on our mind. When you are pre-occupied with yourself, you have no room to be interested in others. The bible exhorts us to, “Look not only to your own interests, but also to the interests of others” (Phil 2:4). When you are always on your mind, you only ever see life from your limited perspective. Your world becomes bigger when you start to seek first to understand rather than trying to always be understood. God has plans for you that are about your well-being and success (Jer 29:11) but as long as you are always on your mind, you will never understand or embrace the plans that he longs to reveal and outwork in your life. If we want to follow Christ we must deny ourselves – Jesus said in Luke 9:23, “If you want to come after me, you must deny yourself…” This is a hard saying because it is difficult in our day and age to swim upstream and not be on about your agenda. Everything we are taught at school, in the media and in the culture around us promotes the idea that we are the centre of the universe. But Jesus calls us to live with the spirit of the kingdom of God in our minds and hearts, not the spirit of the world = self! You’ve got to leave yourself behind. Leaving yourself behind looks like Sacrificing yourself for the Call – Jesus said, “Take up your cross daily and follow me.” You can’t follow Jesus and follow yourself at the same time. You have to choose. No one can serve 2 masters, you either follow one or follow the other. When Jesus took up his cross he sacrificed himself for others. Jesus said, “No servant is greater than his master.” If Jesus is our master and he is our ultimate example, then who are we to think we can follow Jesus and excuse ourselves out of the cost of discipleship. Everyday we have a choice – live for ourselves or live for Christ. Jesus said, “Not my will, but yours be done” and he has been exalted to the right hand of the Father. Satan said, “I will be like God” and the bible says, “He fell like lightning from heaven.” Who you sacrifice for will determine your ultimate destiny. 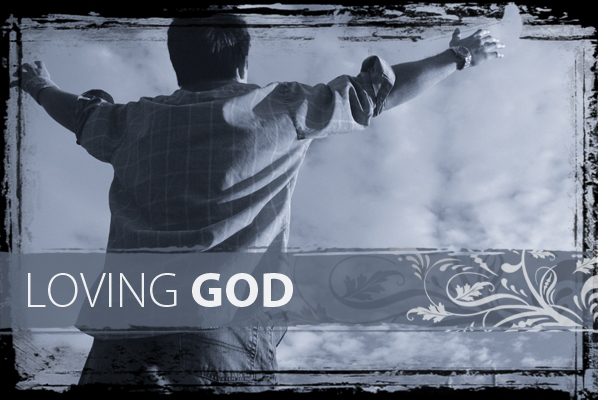 The Kingdom of God is an upside down kingdom – The spirit of the world says, “Live for yourself and you will have true life.” but Jesus says, “Die to yourself and you will have true life.” We are not to be conformed to the pattern of this world but be transformed by the renewing of our minds to think like Jesus thinks and order our lives after the pattern of the kingdom of God. One of the reasons why the world looks at the church and thinks that we’re weird is because we operate by a different law. The law of the Spirit of God is now in effect and what people perceive as normal, God perceives as weird and what the world perceives as weird, God perceives as normal. Living for God and others will be seen as weird but go ahead and live with others on your mind anyway. It’s dangerous to live for yourself and achieve your goal – Jesus said, “What will it profit you, if you gain the whole world and lose your own soul?” The answer = nothing. You could live completely for yourself and even achieve your goal but be completely miserable because you are the only in your small little world. A Day is coming called the Day of Judgment when your work will be tested by fire and if it survives the test, you will be rewarded but if it is burned up, you will suffer loss (1 Cor 3:13-14). What profit are living for – Temporary or Eternal? The Call of the Cross! Jesus understood his call and he was committed to fulfilling it. Jesus’ call was to die upon the cross and bear witness to the truth that he is the Son of God. We are all in desperate need of salvation and Jesus purpose was to live and die so we could access it. Jesus is the only way to the Father. Jesus is the truth that sets you free from sin. Jesus is the source of abundant life for every human being. 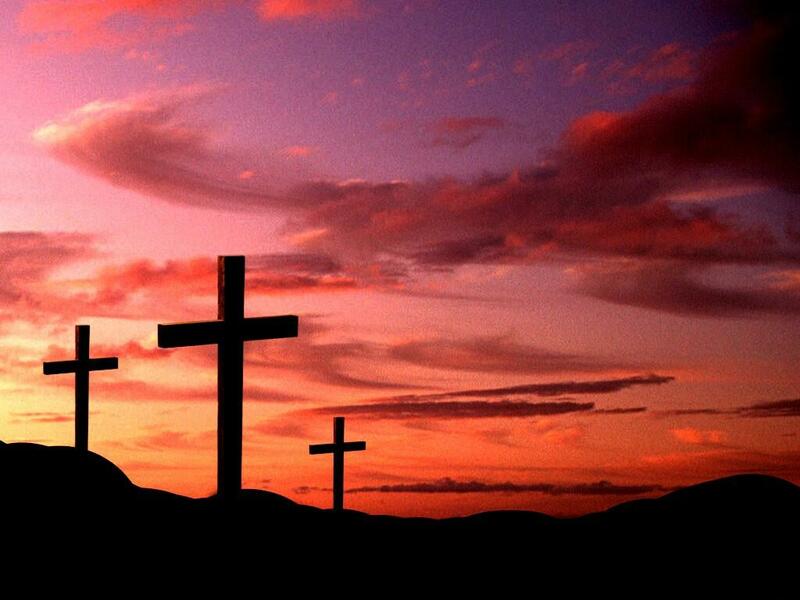 On Good Friday we remember the sacrifice of Jesus as he fulfilled his call on the cross. Jesus went to the cross because there was no other way to save and redeem us from our sin and rebellion, except for him stepping into our place and taking upon himself what we deserved = death. Jesus death on the cross is the essence of the Gospel and the only hope the world has. Jesus is our supreme example to follow and he also calls us to take up our cross, deny ourselves, and follow him. Taking up your cross means to pick up your own call and die to yourself so you can fulfill the purpose for which you were born. Picking up your call requires sacrifice on your part, a willingness to lay down your life to serve others and a commitment to become more like Christ.